TS EAMCET 2019 application form correction has been started from 6th April 2019. 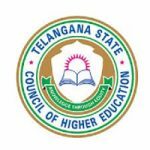 Jawaharlal Nehru Technological University Hyderabad, on behalf of Telangana State Council for Higher Education (TSCHE), conducts the TS EAMCET. This state level entrance examination is held for providing admission in engineering and agriculture courses offered by the prestigious institutions of Telangana. The candidates can fill and submit the TS EAMCET 2019 application form online only within a stipulated period of time. Here, we are discussing complete details about TS EAMCET correction 2019. TS EAMCET 2019 Application Form Correction has been started from 6th April 2019. Click here to make correction. The candidates can avail the TS EAMCET application form through the official website. The application form has been released from 6th March 2019. The last date to fill the application will be 11th April 2019 with late fee of Rs. 500. The application form with late fees will be filled till 28th April 2019. Any mistake or wrong information in the application form will lead to rejection of the form. So be careful while filling the particulars in the form. The TS EAMCET 2019 correction window for making the corrections in the form has been opened from 6th April 2019. Candidates will make the correction until 9th April 2019. The window is opened only for the particular duration of time. This is the one time opportunity for the candidates to rectify their mistakes. Open the TS EAMCET 2019 application form correction link (Link is given above). Only registered candidates who have submitted their form can use this link for correcting the mistakes. Enter your login details like registration number, qualifying exam hall ticket number, and DOB. Now, you will be able to correct mistakes in the application form. Email ID Send SMS (Registration Number, Name, Qualifying Hall Ticket Number, & Correct Email ID) through registered mobile to 9912330730. Last year, the above-mentioned items cannot be edited by the candidate. Candidates will made written request to the CONVENER, TS EAMCET 2019 through e-mail by sending supportive documents to the official from the registered email ID of the candidate. These corrections will be done after verification of the valid documents and approval by the committee. If the committee rejects the requested correction, then the application is invalid/incomplete. Candidates will make the correction related to all other details in filled in online application form other than listed in Category-I. These corrections will not be entertained in any form (Email & Hard Copy) either at CONVENER, TS EAMCET 2019 office or Test centers. If you have any query regarding TS EAMCET 2019 Application Form Correction, you may ask us by commenting below. You can check TS EAMCET 2017 Application Form. Here, we are providing link for application printout. ts eamcet 2017 link is not opened till now for pay the fee. when will be the link open. TS EAMCET 2017 site is not announced yet whenever it announced we will update in our website. Application is not announced yet whenever it announced we will update in our website. If your son posses domicile of TS, then he can appear in the exam. hi when was eamcet application form is avialable at online?? TS EAMCET 2017 application form will be available soon. sir,i got mail thank you. I have problem that after certificate verification it is given on the form that I am not applicable for fee reiumbursement,but I am eligible for it.I didn’t submit my income certificate.so how can I make myself eligible for fee reimbursement . sir i would like to change my registered mobile number because am not receiving otp for options filling,pls help me…..
sir,i made a mistake in date of birth.i already sent a mail to the convener but there is no reply please help me sir. The correction dates might be announced after the completion of the application. sir there is a correction to be needed in my tseamcet-2 in the place of 10+2 studies . how can i rectify and correct that mistake sir????? keep checking this article regarding correction period updates. I am appearing for Telangana EAMCET 2016. On downloading the admit card, I have noticed that the gender was entered as MALE instead of FEMALE. Exam is on 15.05.2016. Ca I get the same corrected in admit card? My local area is printed wrong how can i change it ? Is it possible to change my caste in Ts eamcet now ?? Please rply???? It is upto the hands of exam conducting authority. you can contact them. i have forgetten my ts eamcet registration number…how can i get it…plz help me…sir…. Sir, I forgotten my application number. you can check your application no. in your mail. First i was opted TS Emacet exam center at Hyd. But i want to change to kurnool. pl. explain procedure. And you help line centres phone numbers are not working . Always it is busy. Kindly visit the official portal and login to the application portal and then you can edit the test centres. First i was opted TS Emacet exam centre at Hyd. But i want to chage to kurnool. pl. explain procedure. And you help line centres phone numbers are not working . Always it is busy. I wish 2 opt test centre in Andhra pradesh. But, this site doesn`t allows. if, so how? actually i belong to engineering stream by mistack i entered medical stream HOW? Sir I’m a local of vizag but I selected regional test center as hyderabad zone 6 hiw should I correct it?? you should navigate the link provided for correction. Unable to correct the category of the candidate… But it is mentioned in editable list… Please help..
sir while fillling the applicatiion there was a mistake in date of birth my date of birth is on 18th july 1999 but in application it is 7th july 1999 …plss suggest me how can i go forward with this…. thanku you…. correction period is there. so make correction. I K.Nihanika had done a mistake in filling my ts eamcet application ,i.e; my date of birth ( 08-06-1998),instead of that i filled as 08-06-1999 so sir i kindely request u suggest me for refilling or correction my application form, awaiting for reply. you can change you correct date of Birth during the correction period. I want to change my category from BC-A to BC-E ; bt inspite of clicking on the it. It’s nt changing. Plz suggest…!!! Go through the correction link. I’m trying to correct date of birth but in correction application form it’s not giving option to correct. may be this option is not editable. If possible let us know how. This issue is facing by all AP people.Kindly reply to us .if we need to contact any officials pls let us know who are they and their details. You may go through correction link regarding this. No, exam center change not allowed. I lost my registration number and I don’t have my transaction ID ,my qualifying hall ticket number is 1610217206 and SSC hall ticket number is 1420107807,and my date of birth is 17-12-1998,kindly send me my registration number to given above email address.Thank you sir in advance. You can contact to the officials. Fathers initials wrong.It was corrected in Final SSC marks memo.But in inter they have taken the old ssc date and continued the mistake.I have reported the mistake and was informed that correction will be carried. But in EAMCET date the same mistake is being carried forward. Kindly advise. Fathers initials wrong. It was corrected in Final SSC Marks. But in Intermediate the board has taken the uncorrected data from SSC board and the same mistake is being carried forward. I have submitted the correction thru college to intermediate board.In TSEAMCET the data is teken from intermediate board data and the same mistake is being carried forward.Kindly advise. Disclose the matter in affidavit with evidences. You will be allowed. You cannot change the examination centre. I am from APintermediate board. what is my local status ? Sir I’m from Andhra Pradesh I has been submit ts eamcet but now I want to exam center in my location (visakhapatnam)so what I do? now and how to relocate my exam center. i want to change my eamcet exam centre to a.p can this be possible? once you submitted the form no change will be allowed. My daughter has NCC-A certificate. Should she mention that in special category of eamcet application form? Please reply. I belongs to Visakhapatnam of AP. I have applied for TS eamcet-2016, opting exam center at Hyderabad Zone-1. Know I came to know that, VISAKAHPATNAM added in list of TS EAMCET -2016 exam centres. How can I change exam centre. i have the similar question please let us know as soon as possible. Please kindly reply to this issue. A lot of students are being helpless in not knowing the solution to this issue. Please do clarify n help us. The corrections are on for these examination and students those opted the wrong centres can make changes and replace with the correct one. there is no announcement for make correction in filled or submitted application form. The candidates can correct their mistakes during the correction period.